Allstate Sugar Bowl Parking ! This is a resource for you to acquire your Allstate Sugar Bowl Tickets and Sugar Bowl lodging accommodations. It will also provide you information and statistics on and about the competing teams, the Alstate Sugar Bowl, the BCS and ( College Football Playoff ). Bath access yields privacy to each bed. Fully equipped kitchen with refrigerator, dishwasher, coffee maker, stove, and microwave, Cable TV. 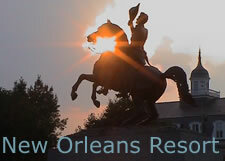 We are a provider of recommendations of places to see and go during your Allstate Sugar Bowl visit. Make your Allstate Sugar Bowl week a memorable experience. Celebrate New Years Eve in New Orleans. 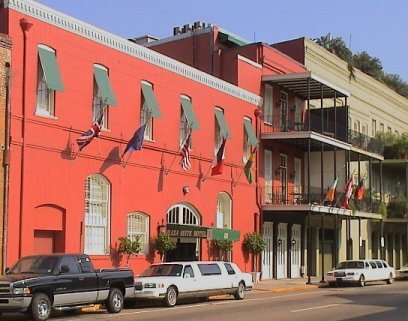 Cheer for your favorite team then use the remaining four days to visit the many attractions of New Orleans. Return each evening to the luxurious and comfortable suite accommodating four. Both beds have private access to the bath.